Just to update you on the next two choices. In July we have my pick, my absolute favourite book I think as a kid as its stayed with me all this time. I remember reading it at school then when I got back into reading kids books I had to find this again. My sister knows how I went hunting at home for the copy we had as it had the cover with the guy sitting in the archway, see below. 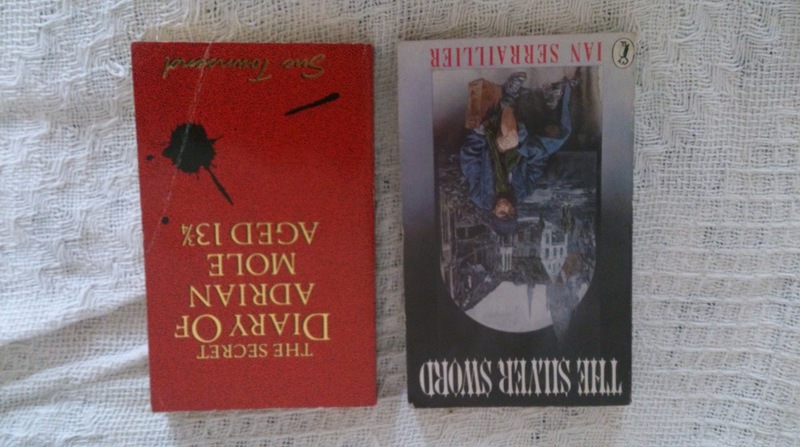 Unbeknown to me, my Mum and sister had bought me it for my birthday, newer edition but they knew how much I wanted it, I probably wasn’t grateful at the time (think I was 32 and stressed out) but I was and still am, so much so I have that along with two other copies after finally finding the one for 29p in a charity shop. So its on the list, and I do hope everyone else likes it to. Having lost their parents in the chaos of war, Ruth, Edek and Bronia are left alone to fend for themselves and hide from the Nazis amid the rubble and ruins of their city. They meet a ragged orphan boy, Jan, who treasures a paperknife – a silver sword – which was entrusted to him by an escaped prisoner of war. The three children realise that the escapee was their father, the silver sword a message that he is alive and searching for them. Together with Jan they begin a dangerous journey across the battlefields of Europe to find their parents. Ian Serraillier (24 September 1912 – 28 November 1994) was a British novelist and poet. He was also appreciated by children for being a storyteller retelling legends from Rome, Greece and England. Serraillier was best known for his children’s books, especially The Silver Sword (1956), a wartime adventure story which was adapted for television by the BBC in 1957 and again in 1971. He was born in London, the eldest of four children. His father died as a result of the 1918 flu pandemic when he was only six years old. He was educated at Brighton College, and took his degree at St Edmund Hall, Oxford and became an English teacher. He taught at Wycliffe College in Gloucestershire from 1936 to 1939; at Dudley Grammar School in Worcestershire from 1939 to 1946; and at Midhurst Grammar School in West Sussex from 1946 to 1961. As a Quaker, he was granted conscientious objector status in World War II. In 1946 his first children’s novel was published. It was followed by several more adventure stories of treasure and spies. His best known work, The Silver Sword, was published in 1956 and has become a classic, bringing to life the story of four refugee children. Three of the children are siblings: Ruth, Edek and Bronia. Jan is another of the many Warsaw war orphans who somehow had met their father, and then fainted near the bombed out basement which served as home for the siblings, and was taken in by them. The four joined together in their search for the siblings’ parents in the chaos of Europe immediately after the Second World War. In the United States the book was published under the title Escape from Warsaw. Forgive me I forgot who popped this one in, but I am very excited about this. Spooky thing is I got it from the charity shop for 10p, another bargain. I didn’t read this as a child but I have heard great things about it. Here’s a bit about it. Meet Adrian Mole, a hapless teenager providing an unabashed, pimples-and-all glimpse into adolescent life. 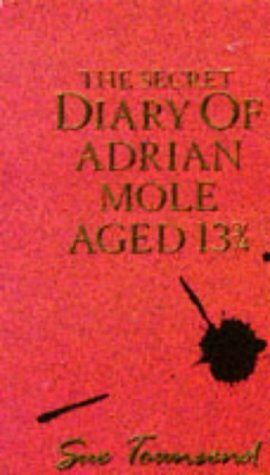 Writing candidly about his parents’ marital troubles, the dog, his life as a tortured poet and ‘misunderstood intellectual’, Adrian’s painfully honest diary is still hilarious and compelling reading thirty years after it first appeared. I hope you can join us, and in August we will be picking books for the rest of the year so get your thinking caps on!